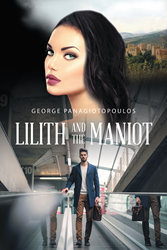 Recent release “Lilith and the Maniot” from Page Publishing author George Panagiotopoulos is both erratic and enticing; this mind altering work will leave the reader on the edge of their seat. George Panagiotopoulos, a husband, father, devoted writer and author, has completed his new book “Lilith and the Maniot”: a passionately written work that intertwines romance and irrationality. Read along as the main character, Nick, subconsciously watches his world fall apart and decides to fight for his sanity. Published by New York City-based Page Publishing, George Panagiotopoulos’ prolific work will leave the reader entranced with fear and anticipation. Nick seems to have the perfect life: a beautiful wife, two young children, a home in San Francisco’s prestigious St. Francis Wood, and a job he loves in Silicon Valley. One morning, after stumbling upon his wife’s e-mails to her lover and uncovering her affair, Nick’s perfect life becomes a nightmare. Not knowing what to do, Nick decides to leave his family. Checking into a local hotel not far from his home, he withdraws to a complete state of solitude and isolation and falls deeper and deeper into depression. Dealing less and less with reality and frequently falling in and out of sleep, Nick is suddenly visited by a horrific figure which terrifies his nights. The frequency of these surreal visits by this strange and freighting creature increase to a level that Nick becomes fearful of sleep and does so less and less, which further debilitates his physical and mental state of existence. Aware of his pending insanity, and consumed by the thoughts or his wife and her lover, Nick calls upon the only person that he feels holds the key to his sanity and may possibly help him return to society. Will this friend help Nick recover? And if so, will Nick like the reality he has awakened to? Readers who wish to experience this insightful work can purchase“Lilith and the Maniot” at bookstores everywhere, or online at the Apple iTunes store, Amazon, Kobo, Google Play or Barnes and Noble.